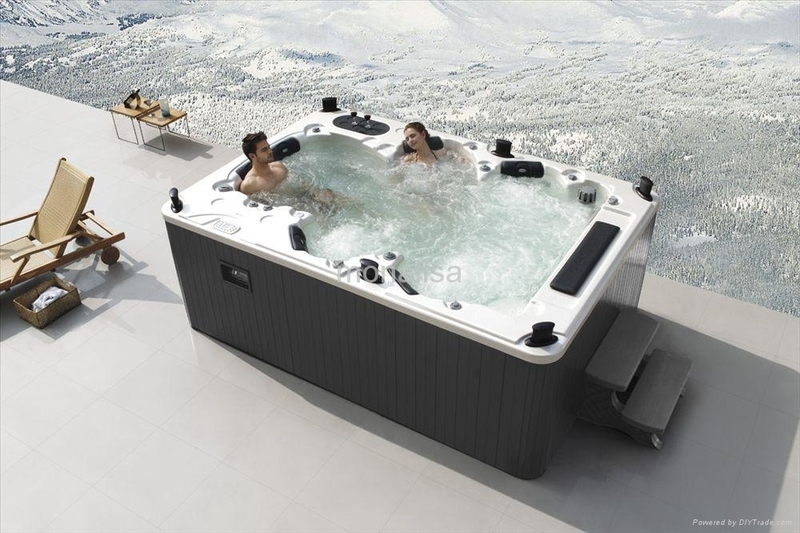 Enterprise of subordinate of Co., Ltd.of Hong Kong Monmalisa group: Guangzhou Monalisa Sanitary Ware Co., Ltd., is devoted to defending development, producing of bathtubs, jacuzzi, steam room; sauna house, shower room etc. Its staff who is made up of a batch of experienced, passion strove, had modernizeds production base of factory building, which covers an area of 15000 square meters. In line with treating people like management with the aim of being enegitic,sincere, executive officer. The scale of company has being expanded constantly, and the achievement is becoming more prosperous every day ,and the business spreads all over more than 30 provinces, cities in the world,such as. France、Germany、U.K、Holland、Belgium、Lebanon、Sweden、Swiss、Austria、Danmark、The Kingdom of Nepal、Finland、Iceland、Ireland、Australia、Columbia、Spain、Canada、U.S.A、Mexico 、Burma、United Aarab Emirates、The Kingdom of Saudi Arabia 、India、South Africa 、Iran、Senegal、Portugal、Ukraine、Malasia 、South Korea、Singpore、Pakistan 、Russia、The Republic of Yemen 、Vietname、Indonesia、Philippines 、Cambodia、Thailand、Republic of Kazakhstan、Wikipedia、Bengal、Dares Salaam、Libya、The Republic of Ghana 、Norway、Yugoslavia、Morocco、The Republic of Mauritius、Egypt and so on, Company equippment, building of China association member, city of Guangzhou building decoration can direct the unit committee for swimming pool of China Physical Culture and Sports Association.Also it is the member of the unit comercial committee for China Sanitary Ware.